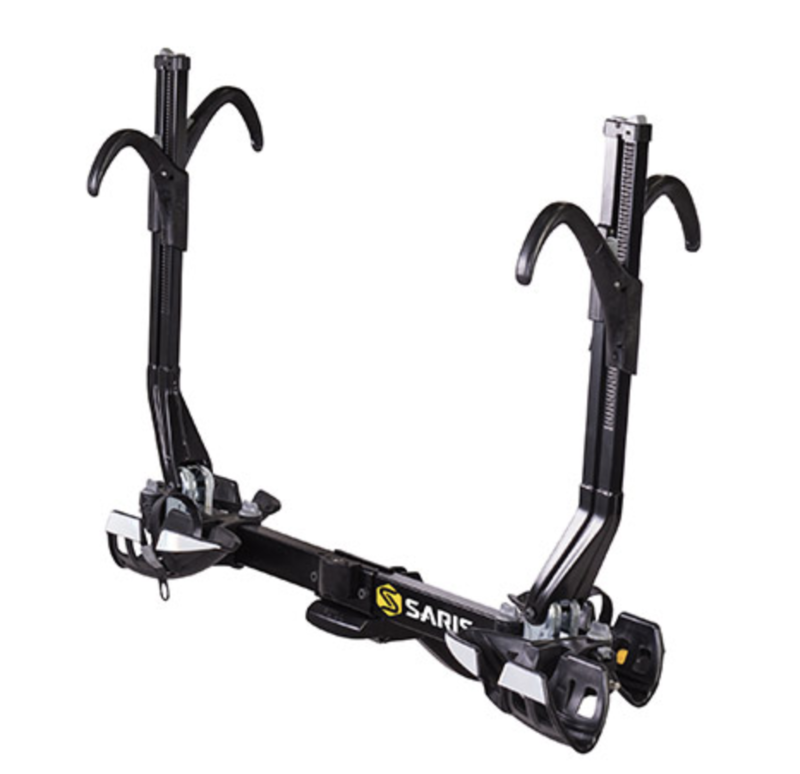 Fastest loading bike rack around thanks to the dual wheel-clamping hooks (bonus: no frame contact). Lightweight, yet mighty! Weighs only 35 lb, and is rugged enough to carry 2 bikes, up to 60 lb each. Open Sesame! Tilting feature allows hatch access, even when fully loaded, and folds up when not in use. Sleek and compact design holds 2 bikes on a single bar.